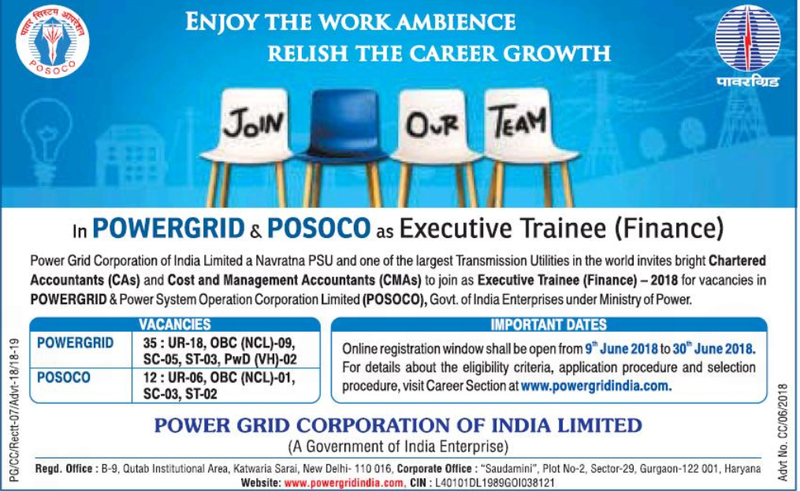 Government Jobs, Power Grid India Ltd.
Power Grid Corporation of India Limited has issued indicative advertisement for recruitment of Executive Trainee (Finance) vacancies in POWERGRID and Power System Operation Corporation Limited (POSOCO). Other details like age limit, educational qualification, selection process, application fee and how to apply are given below. Educational Qualification: Chartered Accountants (CAs) and Cost and Management Accountants (CMAs).